Lectora Inspire, by Trivantis, is the go-to solution for e-learning developers whenever they need to develop online courses rapidly. It is one of the most popular e-learning authoring tools used to develop top-notch e-learning courses. 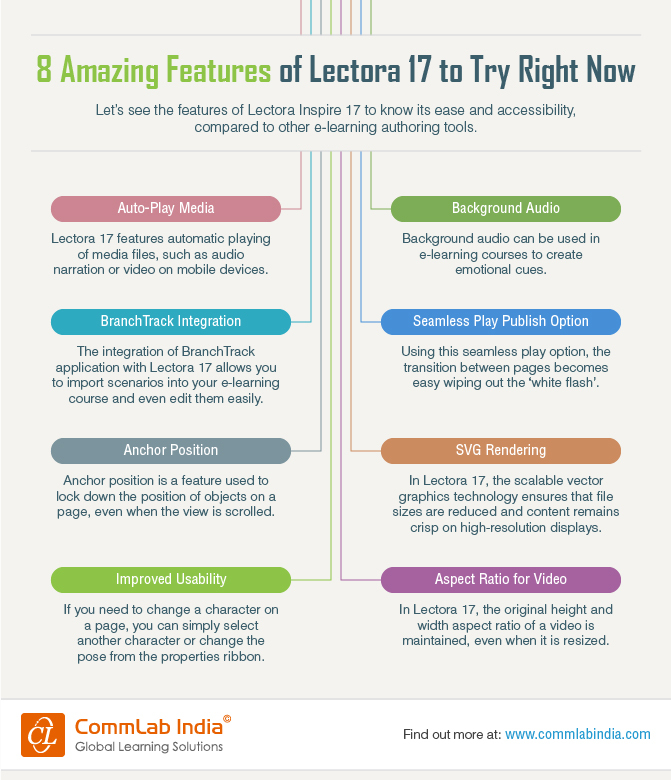 Check some of the exciting features in our infographic that make Lectora 17 extremely powerful for authoring e-learning courses.